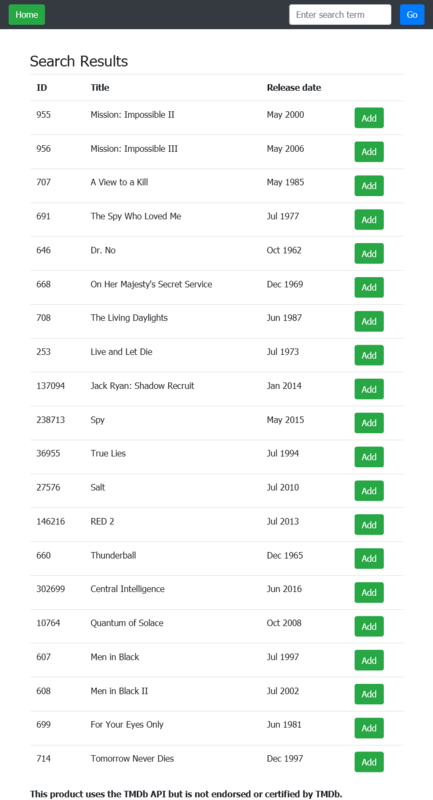 If you have been following along with Part 1, you are half-way through building a web-based PHP application to store your personal watchlist of movies and TV shows. In the first part, you created the application skeleton, added a page template, and integrated search results from The Movie Database (TMDb) API. 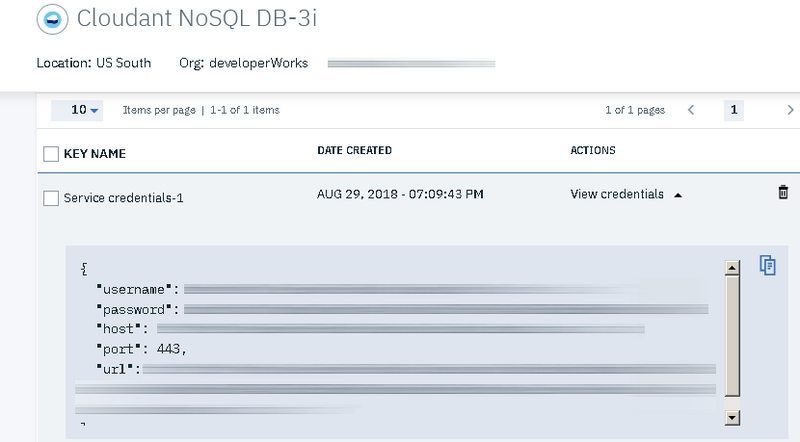 In this concluding part, you launch a Cloudant database instance on IBM Cloud, connect the application with the Cloudant database instance, and deploy the result on IBM Cloud. 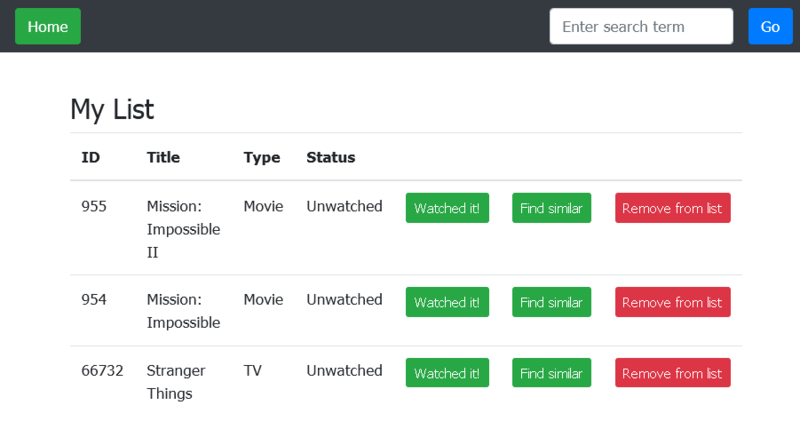 The example application in this tutorial allows users to search for movies and TV shows by name, then add selected items to a personal watchlist. Title information and other metadata is retrieved from The Movie Database (TMDb) API. Behind the scenes, the application uses the IBM Cloud Cloudant service, which provides a Cloudant database in the cloud, together with the Slim PHP micro-framework to process requests and Bootstrap to create a mobile-optimized user experience. Start a Cloudant database in the cloud using the Cloudant service on IBM Cloud. Create and interact with the Cloudant database. Deploy your final application code on IBM Cloud, and debug any runtime errors. Although this IBM Cloud application uses PHP with the Cloudant service, similar logic can be applied to other languages and other IBM Cloud services. The complete source code for this application is available on GitHub. This tutorial consists of two parts. It should take you approximately 60 minutes to complete each part. Start a Cloudant database instance on IBM Cloud. Add and delete documents using the Cloudant API. Add items to the watch list. Retrieve and display items in the watch list. Delete and update items in the watch list. Deploy the application on IBM Cloud. The search results page template already includes an Add button, hyperlinked to the /list/save URL route. This button requires a persistent data store – in this case, a Cloudant database. To create a Cloudant database, log in to your IBM Cloud account and, from the catalog, under Databases, select the Cloudant service. Review the description of the service and click Create to start it. Select IAM as the authentication method and the free Lite plan. The service information page opens. Click Launch on this page to open the Cloudant dashboard. You are redirected to the management page for your Cloudant instance. To create a database, click the Add New Database button in the top menu bar. Then enter the name of the new database as watchlist. Click Create. Under Service credentials, click the New credential button and click the View credentials button to view the necessary details. Cloudant is a document-oriented database that offers a REST API to create, modify, and delete databases and documents. By convention, you use a POST request to create a new document, a PUT request to update a document, and a DELETE request to delete a document. Retrieving a document or a collection of documents requires a GET request. The next step is to integrate the Cloudant database into the application. To start, create a separate instance of the Guzzle HTTP client in the Slim dependency injection container to handle your requests to the Cloudant API. It sends a GET request to the /movie/ID or /tv/ID TMDb API endpoint to retrieve details of the specified movie or TV show using the Guzzle TMDb API client. 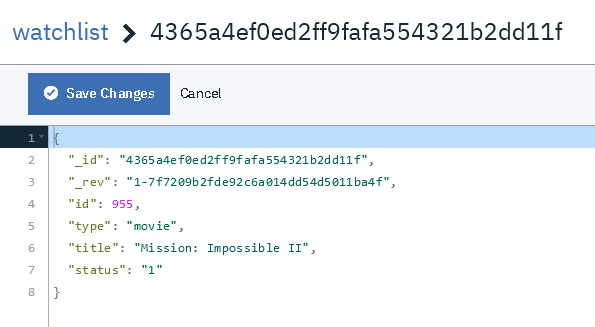 It sends a POST request to the Cloudant API to save a new document containing the TMDb identifier, type, and title of the selected movie or TV show. 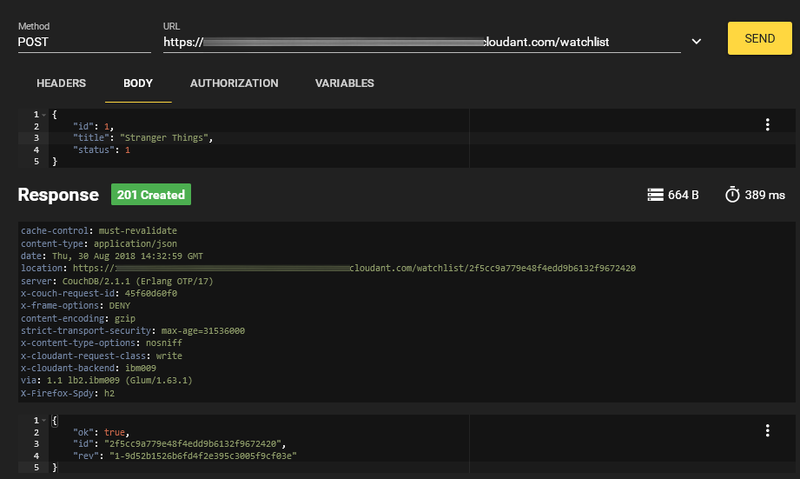 It also includes a status field indicating if the user completed watching it or not (more on this later), using the Guzzle Cloudant API client. 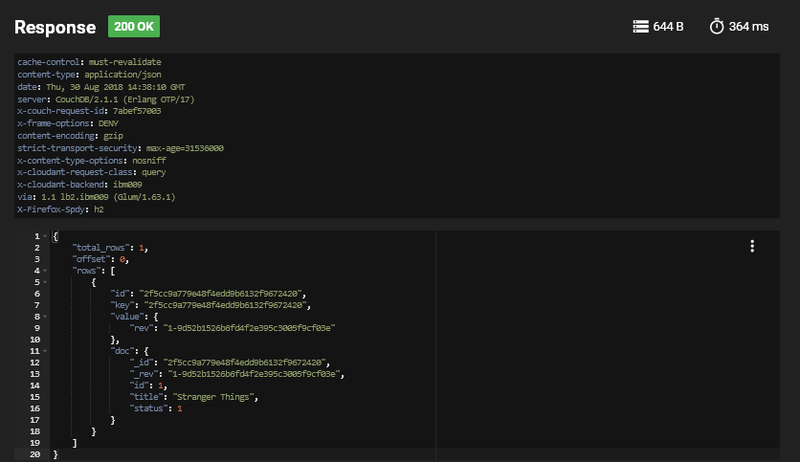 Between the two requests, the JSON response from TMDb is decoded, and the necessary metadata (title and identifier) is extracted from it, then converted into a PHP array prior to submission to Cloudant. The status field of each document represents the status of the item in the watchlist: 1 for Unwatched, 0 for Watched. Each row also includes three additional buttons, to modify the item’s status, find similar items or remove it from the watchlist. This handler receives the composite document and revision identifier, splits them into their constituent parts and then generates a DELETE request using the Cloudant API client. In response, Cloudant deletes the corresponding document from the database. 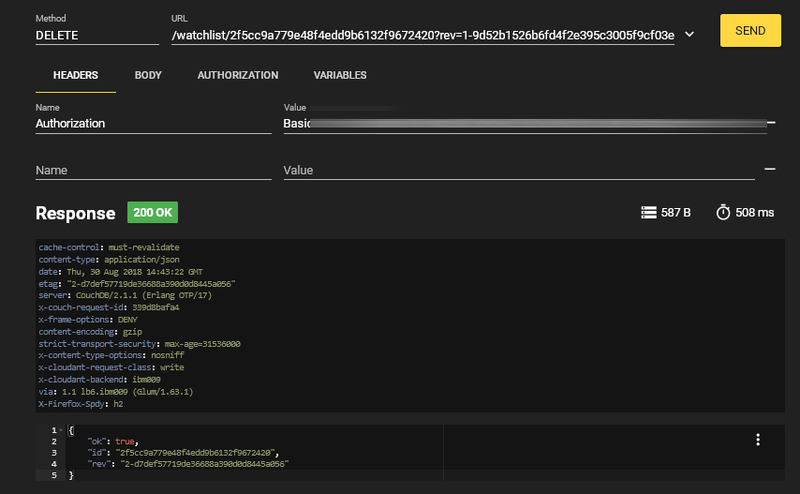 This handler accepts a TMDb record identifier and type and then performs a similarity search by sending a GET request to the corresponding TMDb API endpoint. The JSON results are decoded into a PHP object and interpolated into the search results page template. As these results are rendered using the same page template as keyword searches, they can then be added to the user’s watchlist using the same workflow too, by clicking the Add button next to each item. To connect to the Cloudant instance, the PHP application needs the database URL and access credentials. You previously specified this information in the application configuration file. However, as an alternative, you can bind the database instance to the application and import these credentials directly from the IBM Cloud environment (the VCAP_SERVICES variable). Configure the PHP build pack to use the public directory of the application as the Web server directory. If you decided to import database credentials from the IBM Cloud environment, use the correct ID for the Cloudant instance and bind it to the application. You can obtain the ID from the IBM Cloud dashboard. You should now be able to browse to the application at http://watchlist-[initials].mybluemix.net and see the home page. If you don’t see it, troubleshoot the problem using the tips I collected here. A cloud-based database service (as opposed to an on-premise hosted instance) gives you the dual benefits of economy and scalability. You can scale up (or down) your database CPU, memory and storage requirements in response to application usage trends, thereby ensuring that you only pay for what you use. REST APIs use well-understood HTTP requests and responses and therefore can be integrated into your application using any standards-compliant HTTP client library (which is typically available in every programming language). Using this approach reduces the learning curve and ensures automatic compliance with best practices. Binding IBM Cloud services to your application and sourcing service credentials from the shared environment ensures security, and it gives you the flexibility to adjust application infrastructure without redeploying the application. Now you know how to build a simple, useful application to store a personal watch list for movies and TV shows in a service-agnostic fashion. The application runs entirely in the cloud with a cloud database, cloud hosting infrastructure, and cloud APIs. The Cloudant database service in IBM Cloud, coupled with the PHP CloudFoundry buildpack, makes it easy to build database-backed web applications that integrate with third-party APIs without worrying about infrastructure security and scalability. Try this out as an inspiration for working with cloud-based database services and APIs for other applications, or just use it to keep track of the all the shows you want to binge watch! In this first part of a two-part series, build the basic application skeleton and integrate the Movie Database API.